Motoe Kawashima graduated from Takarazuka University of Arts and Sciences. She began painting after a stay in Spain in 2007. 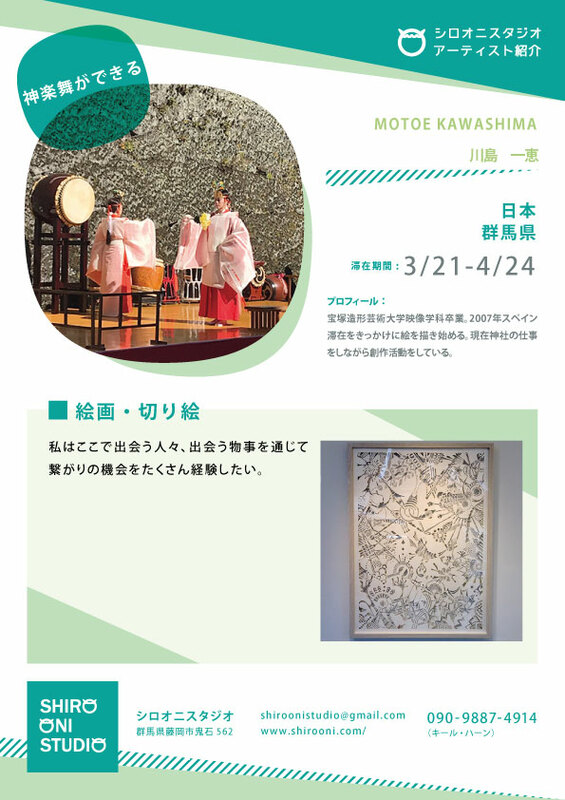 Now, Motoe works on creative activities while also doing work at a Shinto Shrine.